Looking to build your own booth, why not purchase a kit? 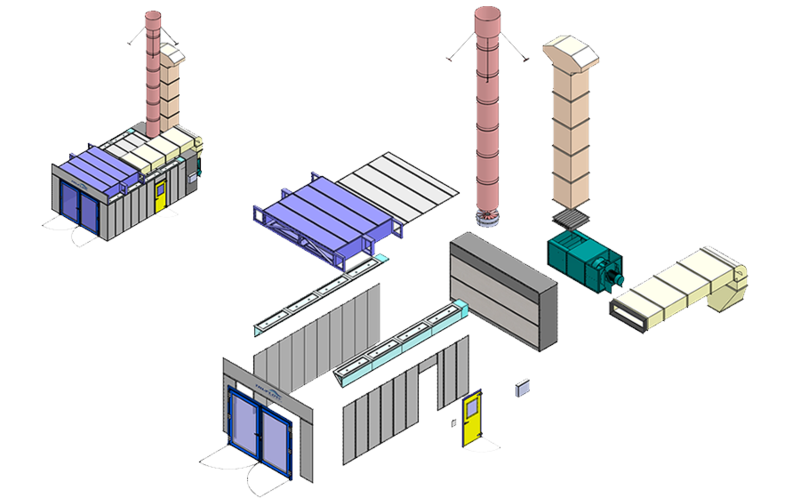 If you are looking to build your own booth why not look at the TRUFLOW Range of kit form booths. These booths arrive at your door with assembly instructions and drawings. Simply bolt it together, wire and off you go. A fully compliant, safe and clean spray booth on a budget that not only looks professional but will provide you with years of reliable operation. 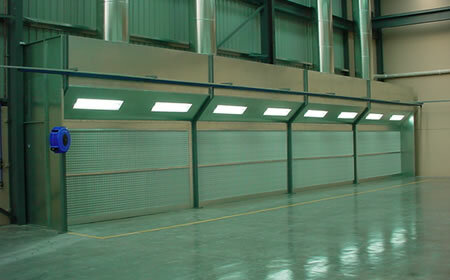 All kit form booths are manufactured from 1.00mm and 2.00mm Galvinised steel panels. They are engineered panels designed in house, punched and pressed via CNC machinery to ensure that your spray booth kit is easy to assembly and relocate. Fans and filters are pre-selected ensuring your booth airflows are compliant and your booth is clean. As the engineered design is modular, you can make virtually any size. Of course some of the most economical models have been pre-engineered by TRUFLOW should you wish to purchase strait off the standard product library. Panels can be powder-coated to a preferred colour on request and ducwork can be adjusted to suit your site with minimal fuss. There are a wide range of standard sizes and configurations. The self install series can suit any budget and can be packed & wrapped ready for dispatch quickly. 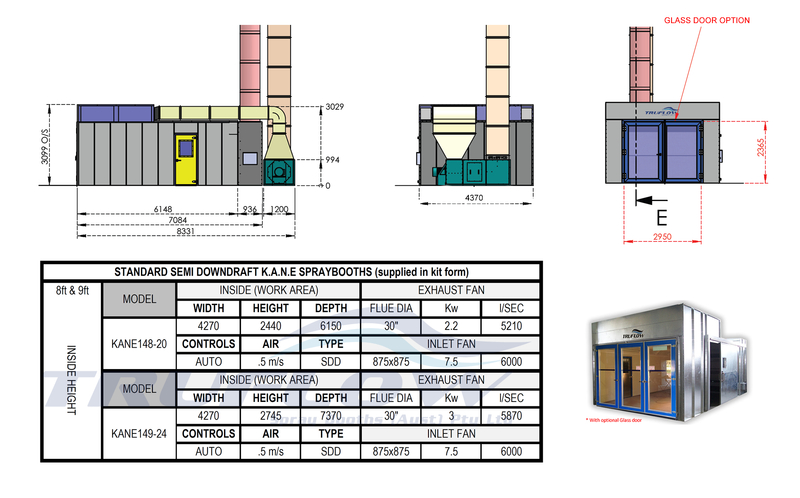 These Australian built dry filter booths come with instructions, drawings and a 12 month warranty. 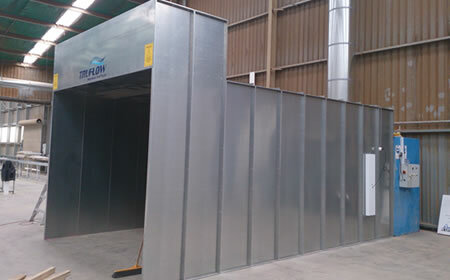 This unit is the ultimate in affordable Australian made spray painting booths with uncomprimised design and quality filtration; the combination of price point, compliance and self assembly allows users to install their own spray booth at low cost and be sure that the equipment meets Australian Standards. 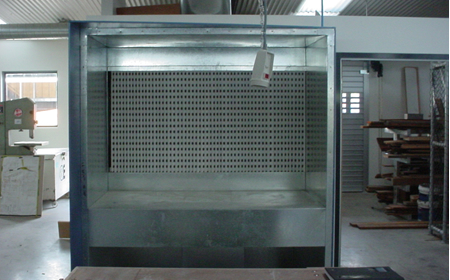 This Kit Form enclosed booth is a simple to assemble spray booth that comes complete with inlet and exhaust air to provide a clean spray environment. Available in single skin cabin panels, they are engineered & CNC machined for accuracy and easy installation. 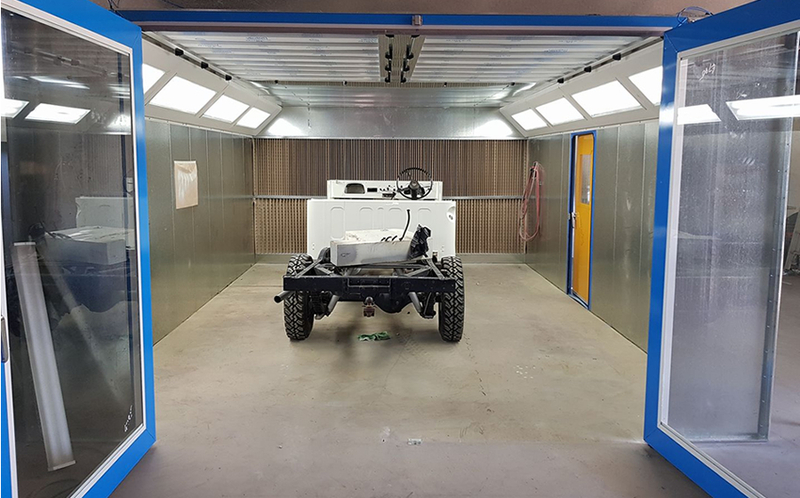 This is the ideal spray booth for the new start up panel repair shop or the initial start up business who normally would look at a second hand spray booth option which in many cases is costly to set-up and likely rife with non-compliance and performance issues. Suitable Industries: Start up Automotive Spraybooth , Trailer Spray Painting, Hot Rods and Customs, Small / Low volume workshops, Cabinet Making and Glass Splashbacks. Install the kit yourself and save! We have solutions for every industry!